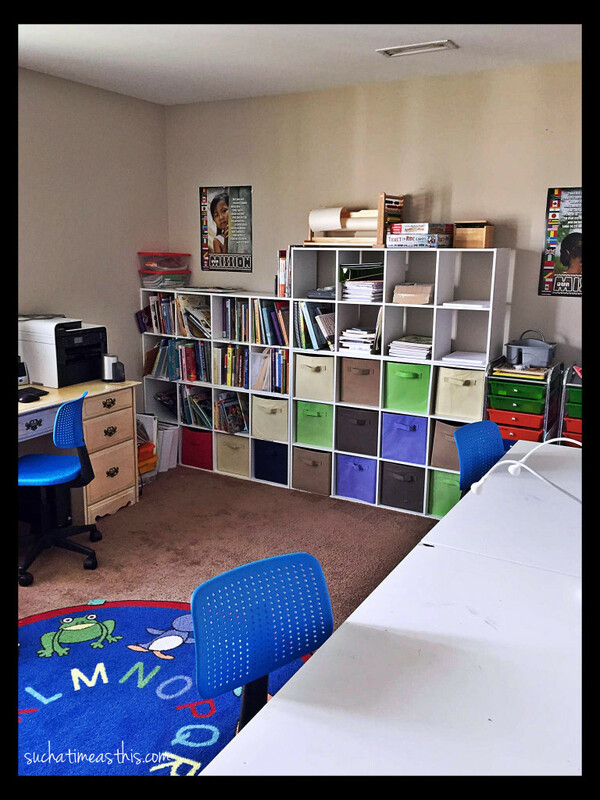 Do you NEED a Homeschool Room? 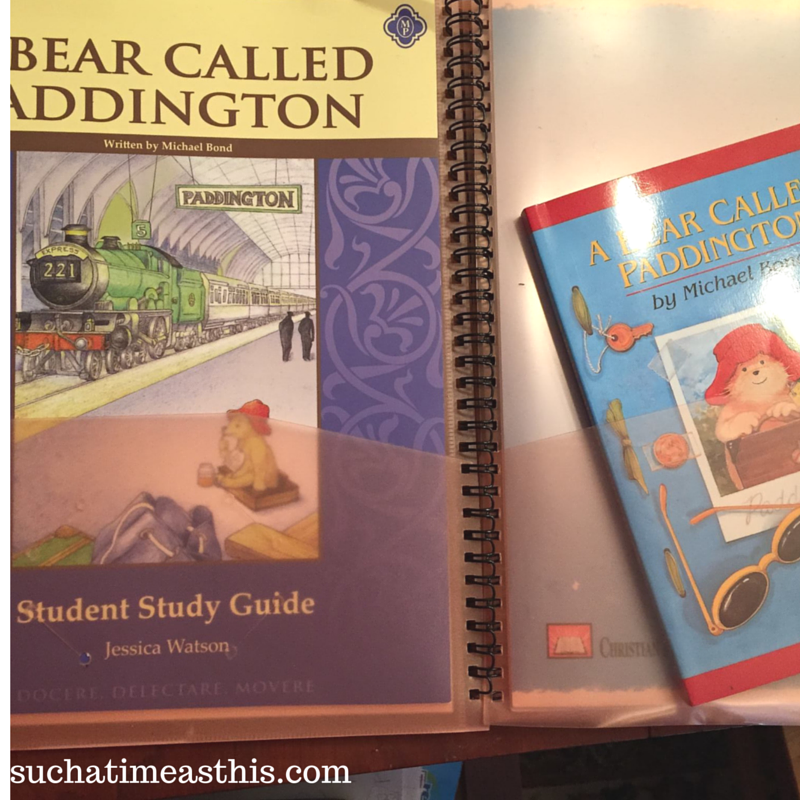 This week I’m participating in a Blog Hop with the School House Review Crew. 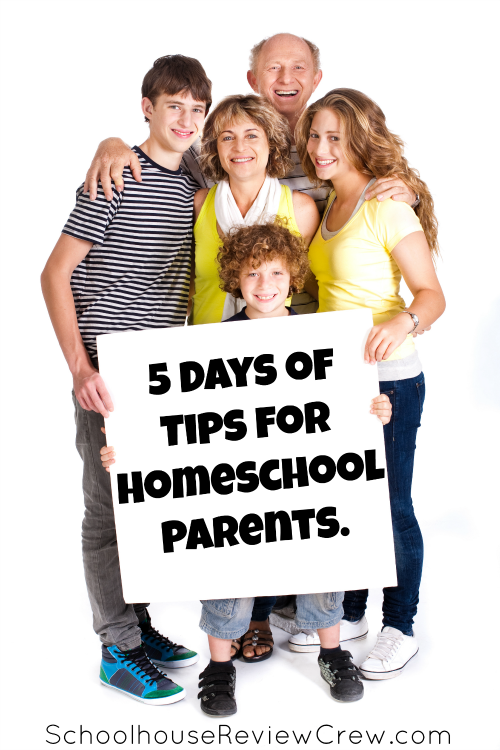 We are posting 5 Days of Tips for Homeschoolers. Please join me every day as I share on topics including homeschooling when you suspect dyslexia, homeschooling middle schoolers with special needs, organizing, scheduling and homeschooling in a big family. At the bottom of each post, I will share other blogs who are also in this blog hop! 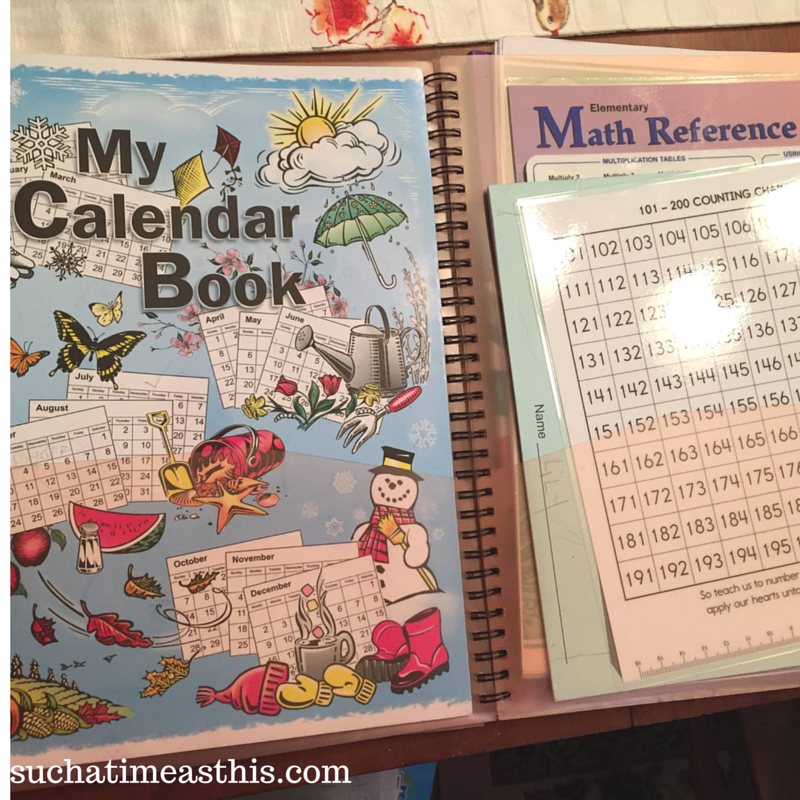 I’ve used quite a few strategies, over the years, in organizing my homeschool stuff and my homeschool room. I first started out using some empty bookcases in our living room. Then, when we moved, I used a spare bedroom on the first floor … eventually, I felt that we “outgrew” that space so we moved to the bonus room in the attic. We recently moved again and I realized that I needed our school space to be downstairs (for a bunch of reasons). Having small children who still nap upstairs was one of the biggest reasons. The second biggest was that we have small children who will get into all of our supplies if they are upstairs. Thirdly, I like school to be a part of our everyday life. So here is a list of suggestions for you to think about as you are organizing your school at home. Where do you want (or need) to do school? Is your house one, two or three stories high? Do you have a spare bedroom or bonus room? Do you long to school around the kitchen table? Do you guys really prefer to read your read alouds on the comfy couch in the living room? Do you currently have a dedicated school room but rarely use it? 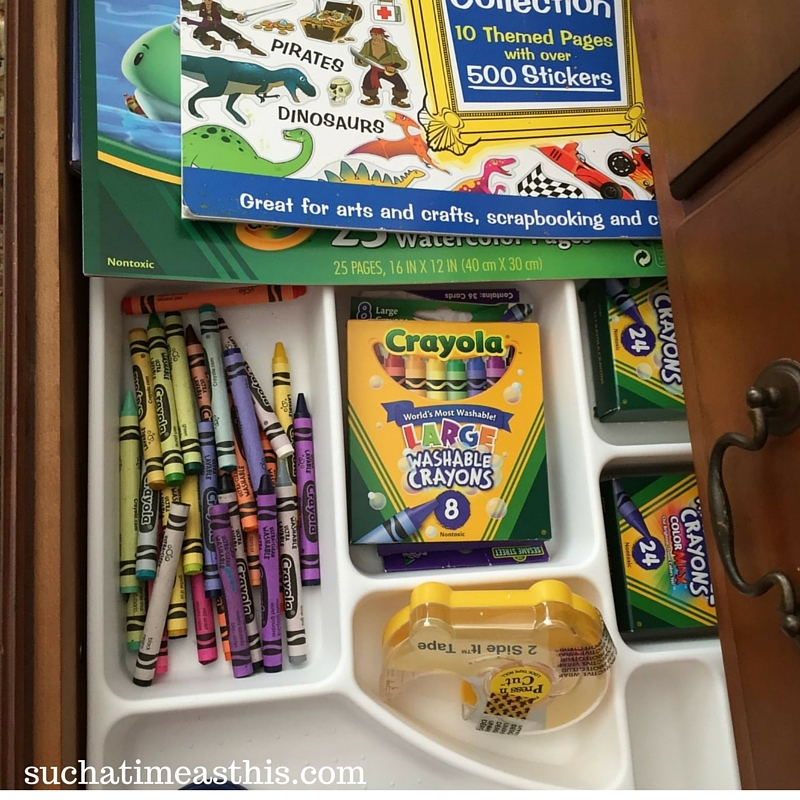 Are there littles who will get into your supplies if it’s not locked up? Do you want school to be part of your day to day life? Do you want to have a separate room? Is your space a dedicated space or is it multipurpose? That leads us to our next question, is your space a dedicated space or is it multipurpose? 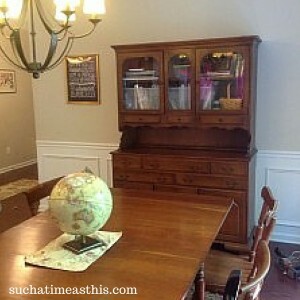 For several years, we had a separate homeschool room but I started longing to have school around a big table. I wanted to be able to check the laundry, start the dishes, make dinner all while the kids were within eyesight. We decided to use our formal dining room as our school room. Although it is multipurpose, it doesn’t get used a whole lot as a dining room. 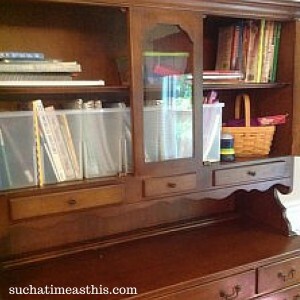 If you are needing to store extra household items in that space – it might limit the amount of room you have for books. Is there enough room for everything and the kitchen sink or just the basics? What do you have room for? In our old homeschool room, we had room for everything. And I mean everything. We had every book we ever owned, paper, pencils – current curriculum – the works. Everything fit and we had a computer set up in the corner. Decide if you are schooling in the kitchen or dining room – is there a piece of furniture which will hold your homeschooling stuff? Have you looked at interior design ideas, and specifically looked for interior design tv stands for example? The design of the room can impact learning massively. The child’s bedroom can also have big impacts on their learning. Many children don’t get enough sleep due to an uncomfy bed, so maybe consider buying your child a memory foam mattress if they’re struggling to sleep. I really did love that set up – except for the fact that we have several small children. It would have worked perfectly if I only had the older kids. 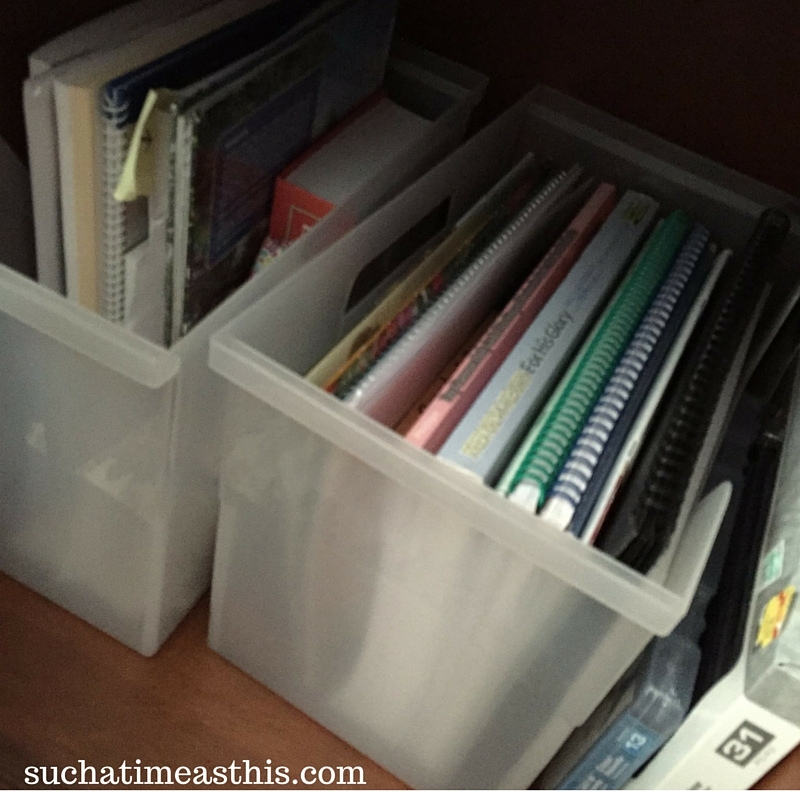 Figure out where you are going to store your supplies. We choose to use our china cabinet that I found at an antique furniture shop for our everyday supplies. We love that pencils, erasers, pencil sharpeners, glue sticks and rulers are all within reach – along with notebook paper, construction paper and crayons! I have some cubbies set up in our guest/craft/office which stores all of our extra books. This china cabinet has been amazing and I love how it looks. 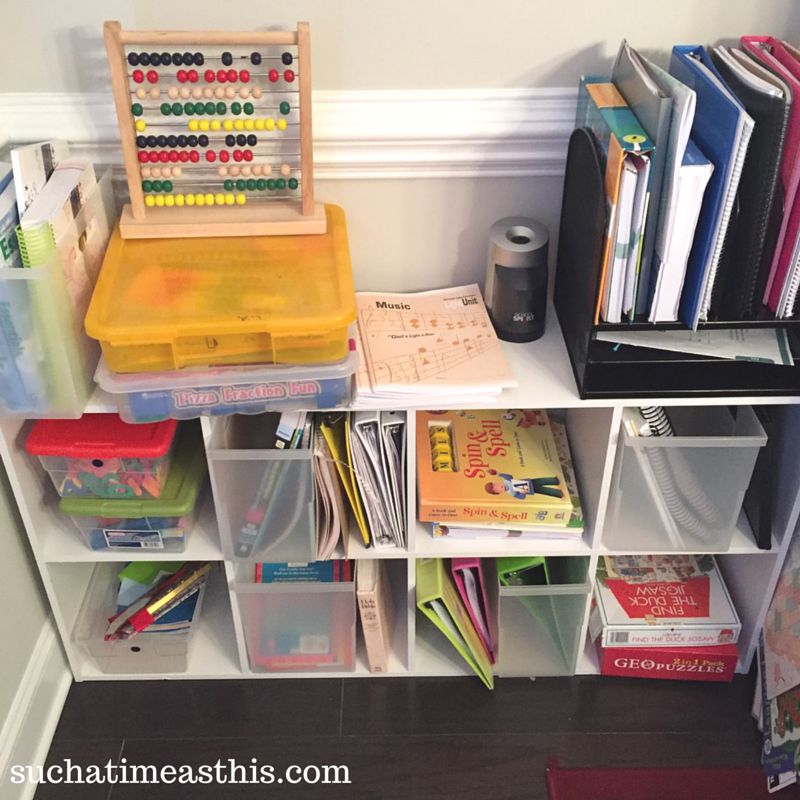 There is enough room in the china cabinet to fit multiple file folder bins and the drawers house all of our office supplies and school supplies. 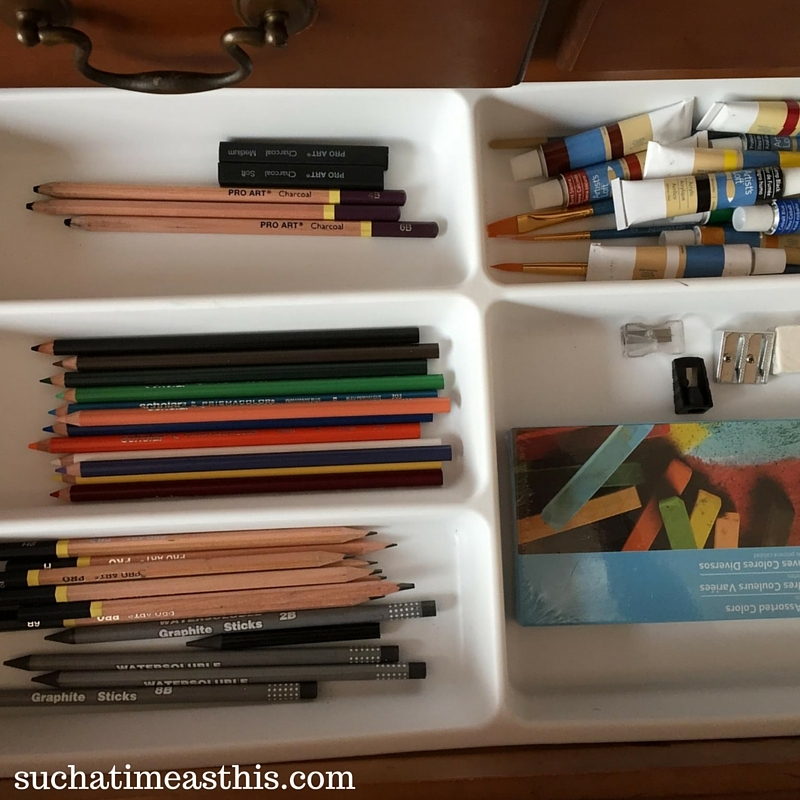 We even have an art center and a craft drawer. 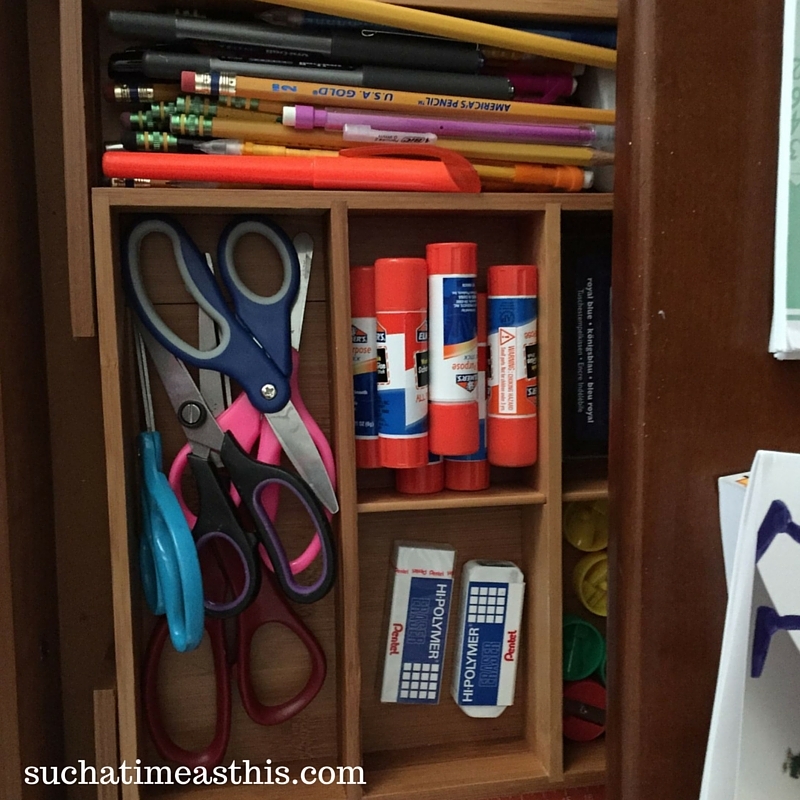 Everything fits on this small cubby in our dining room – next to the china cabinet. I love that everything is nearby and that we can all fit around this old dining room table. It is easy to clean up our stuff after we use it and when we need to use it as a dining room it still looks like one. We don’t even miss our old homeschool room! I hope this helps you figure out what features are most important to you. You might still want a separate homeschool room, but you need to figure out what is important to you. I think the most important thing, for me, is to have everything we need each day easily accessible. Find what makes your days flow! While each day won’t necessarily be seamless, schooling in the right space should help the days go smoother! 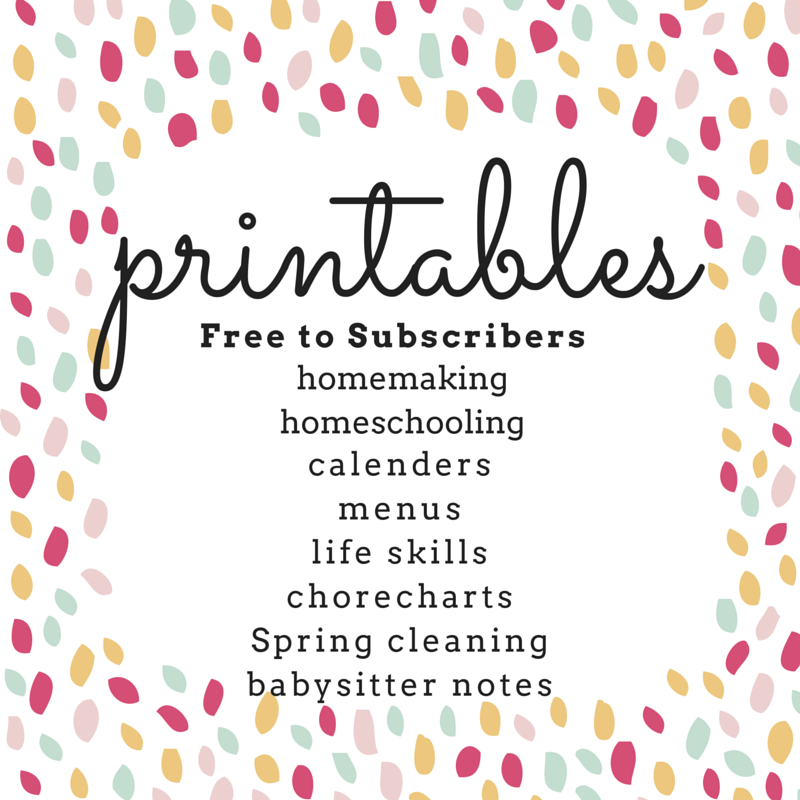 Looking for more homeschooling tips? 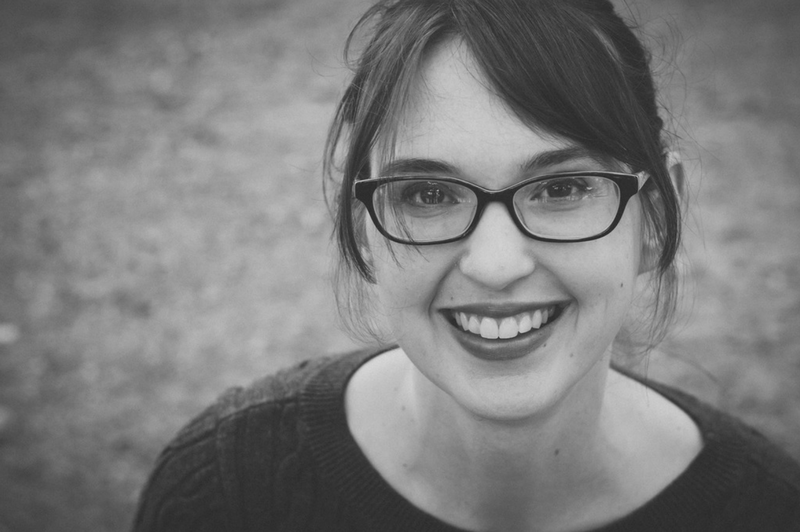 Here are some other blogs you should check out today! That looks great! I have two only children. They were 9.5 yrs apart so I didn’t need a room. My son has all his stuff at his desk in his room but we do school in various places. He does most of it in his room as many of his courses are online. But we also discuss things in the living room and in my office where I input grades in my computer. I think I do need a room like this! We have done school with a dedicated room and some times without, blessings in both! Love how you have used your space! Wow, that looks amazing! My husband would love for you to come organize our space! LOL. We use a shared space in the living/dining room. It always starts out organized in the beginning of the year, but then, well, it seems to dissolve into chaos. Organization is not my strong suit. I love the China cabinet! Thanks for sharing.